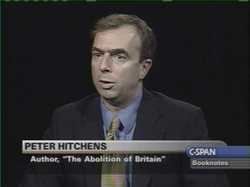 Any questions for Peter Hitchens? If you have a question for Peter please use the comments option below or email a question to [email protected]. 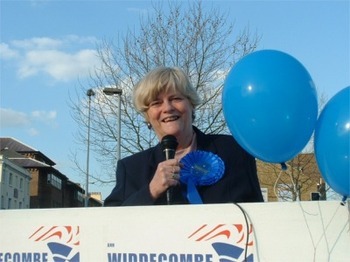 In the first ConservativeHome Q&A, Ann Widdecombe answers the questions you raised. Next Friday we'll publish Ed Vaizey MP's answers to your questions. Gerard McGuigan: You are possibly one of the Party's few gems, will you ever return to frontline politics? It is not for me to decide whether I will ever return to front line politics. Such positions are by invitation only! However it is generally known, if this Parliament is a normal length, I expect to retire at the end of it and therefore it is unlikely that any invitation would be forthcoming. Derek: I would like to know whether she still believes that we should have a "no tolerance" policy on drugs, including cannabis. How would she tackle the growing problem of drugs today? Yes, I believe more than ever that we should have a ‘no tolerance’ policy on drugs including cannabis. I saw Giuliani’s project in New York and was much impressed by it. Clearly the drugs menace will continue to grow unless we tackle it in a serious and determined way.